The ongoing dispute is because of the deafening silence maintained by those who are in the power of the state, said the statement. Vote bank politics is being played by taking side with a particular community by a few leaders it said. Further, the party has appealed the people not to give a communal tinge to the incident, adding that it should be taken as a petty dispute between two neighbouring village. It is very unfortunate that a few narrow-minded people are trying to flare up the issue for their political gain. The party reiterating its earlier call of observing the International Day of The World Indigenous Peoples on August 9, it has appealed all the communities to give cooperation for a successful observation of the festival. It further appealed for maintaining tranquility and avoid from indulging in any action that might trigger unnecessary tension among the indigenous communities. The misunderstandings that have happened in the past between the communities is because of the divisive policies of the Indian State. 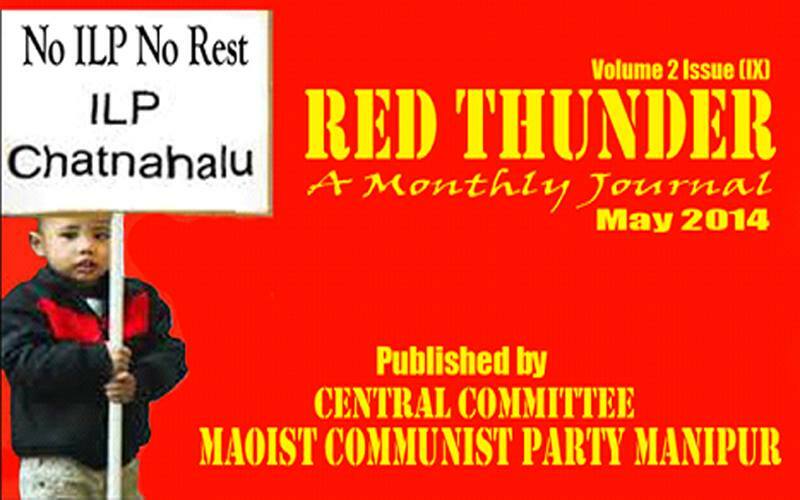 There is a need to evolve a counter-strategy in the revolutinery movement of Manipur. For this, a joint effort from the intellectuals and the civil society organisations is needed, said the statement. The said indigenous festival should serve as a common platform for all communities of Manipur, it added.